I'm having the same problem with my k7 750, when you dump the clutch in 2nd gear, there is something keeping it down, I've tired it around 35 mph, I've tried it riding at 7k rpm and dumped the clutch at 14k rpm and it won't come up, it loses power and comes back down, I was wondering if it was because I just didn't know how to do it, but I let a guy at one of the local shops ride it that's been doing wheelies and working on bikes for years, and even he can't get it to come up standing on the back pegs, so any help with this would be appreciated. Did you ever figure out the problem? I am having the same issue with my 06 750. 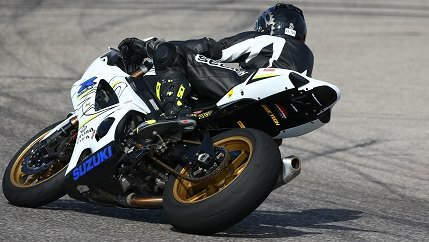 I had an 03 r6 stock and could wheelie all day clutching it up in second and ride it out as long as i wanted but with my 750 i can only wheelie in first. I have tried everything to get it up in second but it doesn't seem to have the power. Bouncing off the rev limiter and dumping the clutch wont even do it in second. The bike has 24k miles.... Dont tell me I am doing it wrong I am an experienced rider that knows how to wheelie. I am looking for a fix for my bike. Last edited by humanpaste; 07-17-2014 at 10:09 PM. Was this thread started before the YUUUTTT UUUGGGHHHH video? Ik exactly what you are talking about ! And manage to fix the problem ! Do you have a after market clutch lever by any chance ? Good info for people who see this as a google search, but this is a pretty old thread. Sometimes older threads will pop up, just look at the last post date.